The US State Department announced Friday that the special US envoy for North Korea will meet again with Pyongyang officials before a second summit between President Donald Trump and Kim Jong Un — hours after he returned to Seoul from talks in the North on the summit’s agenda. In a statement, the State Department said talks during Stephen Biegun’s three-day trip explored Trump and Kim’s “commitments of complete denuclearization, transforming US-DPRK relations and building a lasting peace on the Korean Peninsula” in preparation for the much-anticipated summit in Vietnam on February 27 and 28. The State Department confirmed Biegun agreed to meet his North Korean counterpart Kim Hyok Chol again before the summit. North Korea has yet to provide any official confirmation of the summit and Kim Jong Un appeared to make no mention of it during a meeting Friday with the top brass of the Korean People’s Army. 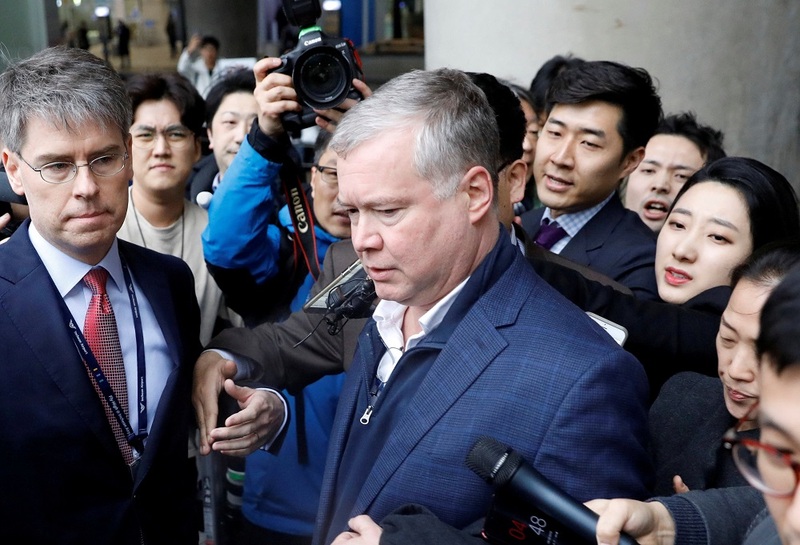 Attention will focus on whether the US team have offered to lift some economic sanctions in return for Pyongyang taking concrete steps towards denuclearisation.